Market action has been unusual in the past few weeks. One reason has been an unusual rise in options premiums. Generally, premiums do rise when volatility increases but this time there was another factor. Uncertainty about interest rates boosted options even more than expected. The changes left traders concerned about the future path of interest rates. Since the Greenspan era of the 1990s, changes in interest rates have usually been clearly telegraphed. Powell rocked with comments that traders viewed as less clear cut than usual. The volatility may have been short lived not because traders believe they understand Powell’s thinking any better. The volatility may have been short lived because traders simply priced a worst case scenario into the market. Now, the market is positioned for multiple rate hikes this year and a less data driven Fed. But, that leaves rooms for upside surprises. This could be the set up for a bull market with little risk. That means trading activity is likely to increase and that means stocks in the business of trading could fare well. Years ago, trades were executed by market makers. These were individuals representing firms that basically took the other side of the trades. So, if you wanted to sell, someone else would need to buy. The buyer would often be a market maker. 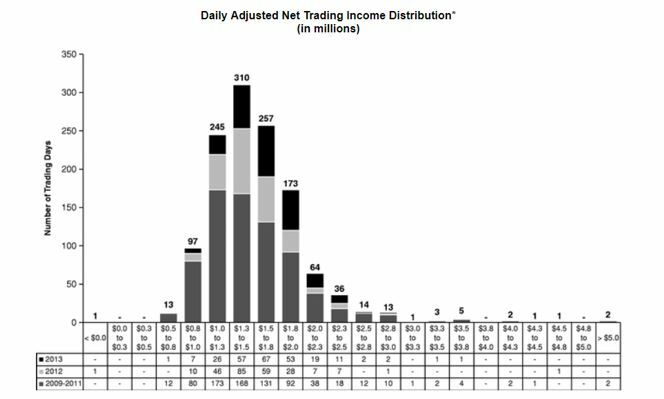 For executing trades, in effect providing liquidity, the market makers earned the difference between the bid and ask prices. Years ago, this was an eighth of a dollar or a quarter of a dollar, $0.125 to $0.25 per share. Regulations and technology eliminated market makers and they were replaced by high frequency trading firms. These firms now take the other side of trades using complex algorithms and they do so for less than the cost of market makers. Among the firms engaged in this activity is Virtu Financial, Inc. (Nasdaq: VIRT), a firm famously changing for consistent trading profits. In regulatory filings required to complete the initial public offering, the company showed a chart of their profitability. Recently, the stock has been rallying and creating a potential trading opportunity. The stock has been nearly immune to the recent market sell off. For VIRT, a bull put spread could be opened with the April 20 put options. This trade can be opened by selling the April 20 $25 put option for about $0.35 and buying the April 20 $20 put for about $0.10. This trade in VIRT would result in a credit of $0.25, or $25 per contract since each contract covers 100 shares. That amount is also the maximum potential gain of the trade. The maximum possible risk is the difference between the exercise prices of the two options less the premium received. For this trade, the difference between exercise prices is $5 ($25 – $20). This is multiplied by 100 since each contract covers 100 shares. Subtracting the premium from that difference means, in dollar terms, the total risk on the trade is then $475 ($500 – $25). The potential gain is about 5% of the amount of capital risked. This trade will be for about three weeks and the annualized rate of return provides a significant gain. 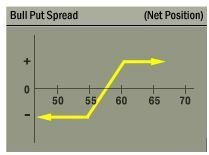 The bull put spread in VIRT is an example of how options are a versatile tool and could meet many of your trading objectives. In this trade, options provide income and defined risk that could be lower than owning the stock. This strategy also has a high probability of success.